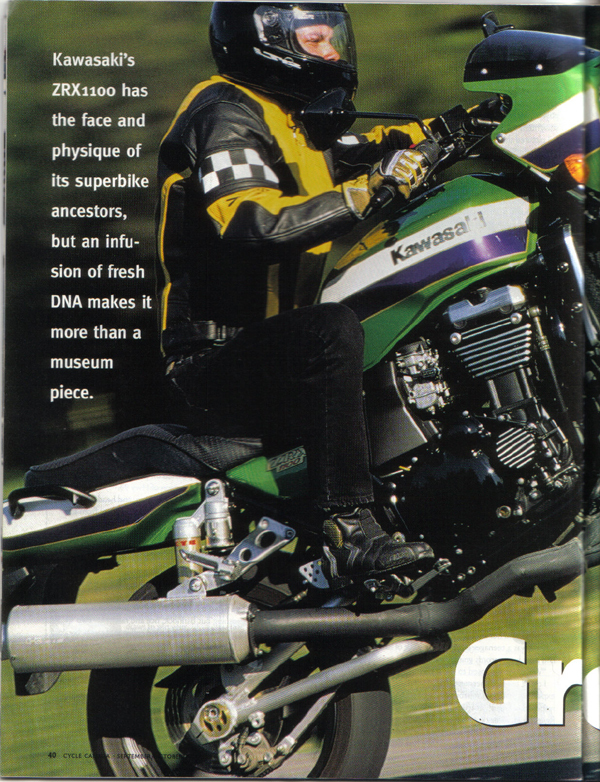 The Kawasaki ZRX 1100 received extensive coverage in the motorcycling media when it was introduced. 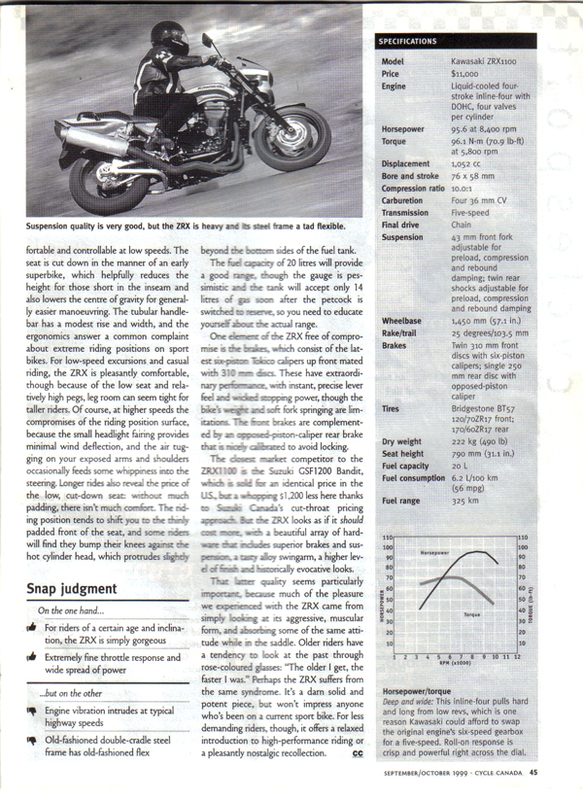 The Canadian motorcycling press reviewed the bike quite positively, for the most part. 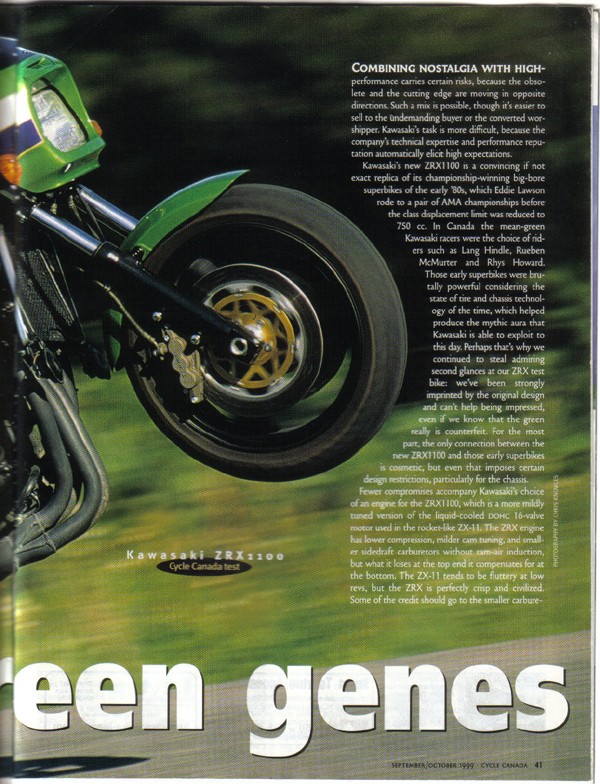 There are a few points on which I've come to disagree with their impressions after owning the bike, but in general I found most of Cycle Canada's review accurate. 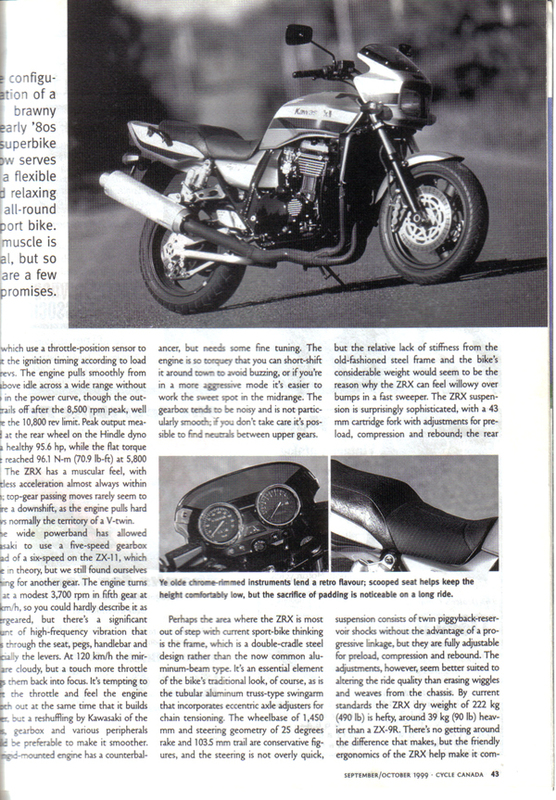 The American motorcycling publication Cycle World rated the ZRX 1100 the best 'Naked Bike' of 1999.